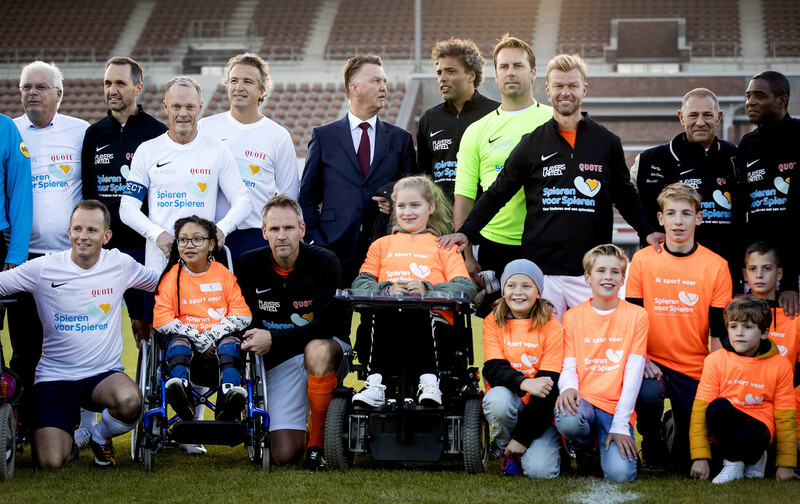 How can we generate enough money for the charity “Spieren voor Spieren” ( Muscles for Muscles) and the research for muscle disease through our network and football? A team with multimillionaires whom share a joint worth that goes over 3 billion. This team was led by Louis van Gaal and they played against Ex-professionals. For extra fundraising there were some playful rules during the game and after the game we organized an auction.